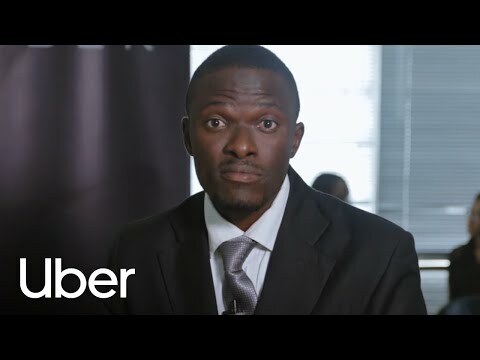 It’s been 2 years since Uber (www.Uber.com) hit the streets of Lagos, and it’s been an absolutely exhilarating ride. During this time, we are humbled to have moved with you over a Million times in Lagos. We have connected thousands of people since launch and have facilitated over a million trips through the platform! Our one millionth trip took place on 16th July 2016 from Yaba to Lekki. We’ve moved over 40 nationalities in the country since we launched! We have travelled approximately 9,000,000 km in the time that we have been here. That’s almost the exact distance to make 10 trips to the moon – and back too! We’re in Lagos and Abuja. We create experiences which move you. Places, people and experiences are what truly drive us. Since our launch in 2014, we’ve given you the chance to pitch your ideas to Nigeria’s startup heroes with UberPITCH (http://bit.ly/2avnklu), treated you to UberCUPCAKES (http://ubr.to/2avnqJC), UberICECREAM (http://ubr.to/29D6LF5) and even arranged an exclusive meet and greet with Banky W (http://bit.ly/2aiShtv). In 2015, we enabled over 1,000 economic opportunities in Nigeria and aim to create thousands more in 2016. These are the drivers who pick you up after those late nights out, the ones who drive you to that first date, and the ones who ensure that you’re never late for that afternoon business meeting. A reliable ride at the touch of a button. We’re helping to connect Nigerians to a safe and reliable transportation option, available to anyone, anywhere and at anytime. Here’s to another year of stories, journeys and exciting on-demands. 2 Years Moving Lagos Lagos never stops moving, and since launching in 2014, neither have we LAGOS, Nigeria, July 29, 2016/APO/ -- It’s been 2 years since Uber (www.Uber.com) hit the streets of Lagos, and it’s been an absolutely exhilarating ride. During this time, we are humbled to have moved with you over a Million times in Lagos. Lagos never stops moving, and since launching in 2014, neither have we. (https://youtu.be/6nHeZM9z9IE) As part of this incredible adventure, we thought we’d crunch a few numbers and let you know exactly how much you’ve moved us We have connected thousands of people since launch and have facilitated over a million trips through the platform! Our one millionth trip took place on 16th July 2016 from Yaba to Lekki. We’ve moved over 40 nationalities in the country since we launched! We have travelled approximately 9,000,000 km in the time that we have been here. That’s almost the exact distance to make 10 trips to the moon – and back too! We’re in Lagos and Abuja. In 2014, we launched Uber in the Centre of Excellence – Lagos. Fast forward to 2016, and we’re now in the Federal Capital Abuja as well! What lies ahead? #UberEVERYWHERE We create experiences which move you. Places, people and experiences are what truly drive us. Since our launch in 2014, we’ve given you the chance to pitch your ideas to Nigeria’s startup heroes with UberPITCH (http://bit.ly/2avnklu), treated you to UberCUPCAKES (http://ubr.to/2avnqJC), UberICECREAM (http://ubr.to/29D6LF5) and even arranged an exclusive meet and greet with Banky W (http://bit.ly/2aiShtv). In 2015, we enabled over 1,000 economic opportunities in Nigeria and aim to create thousands more in 2016. The real uberHEROES! These are the drivers who pick you up after those late nights out, the ones who drive you to that first date, and the ones who ensure that you’re never late for that afternoon business meeting. (https://youtu.be/ZQ5TsO7XpvQ) A reliable ride at the touch of a button. We’re helping to connect Nigerians to a safe and reliable transportation option, available to anyone, anywhere and at anytime. Here’s to another year of stories, journeys and exciting on-demands. Thanks for coming along on the ride! #Eko Oni Baje Distributed by APO Group on behalf of Uber.